Hiya! I’m unsure if I’ve ever mentioned this before now but my brother lives in Surrey, aka very close to London, so every year after exams have finished I go visit him for a couple days. It’s super fun and we normally do a heck load of things! I didn’t technically go for a week this year but I went Tuesday to Saturday so that’s kinda a week right?? SOOOOOOOOO I thought I’d do a little cheeky blog post about my time there and what I did each day, sound fun? This day isn’t technically 100% in London but it’s me travelling so I thought I’d include it. My coach doesn’t set off until 1:00pm so I still had fairly most of the day in Birmingham. I just spent it chilling and getting ready and everything finalised before I headed off. I chose to use a coach instead of a train just to minimise the amount of travel anxiety I’d have. Travelling, especially on my own is super scary to me so I thought I’d chose an easier option for me at this stage. When I arrived at Gatwick airport, my brother was waiting to pick me up and we just spent a couple hours chilling. Then, we all (all being my brother, his boyfriend, their housemate and I) went to the Harvester for a meal. First thing we did was go to Covent Garden. I did a little bit of shopping and visited a couple of shops I wanted to look in (but unfortunately didn’t find anything worth buying) such as Drop Dead and Lazy Oaf. 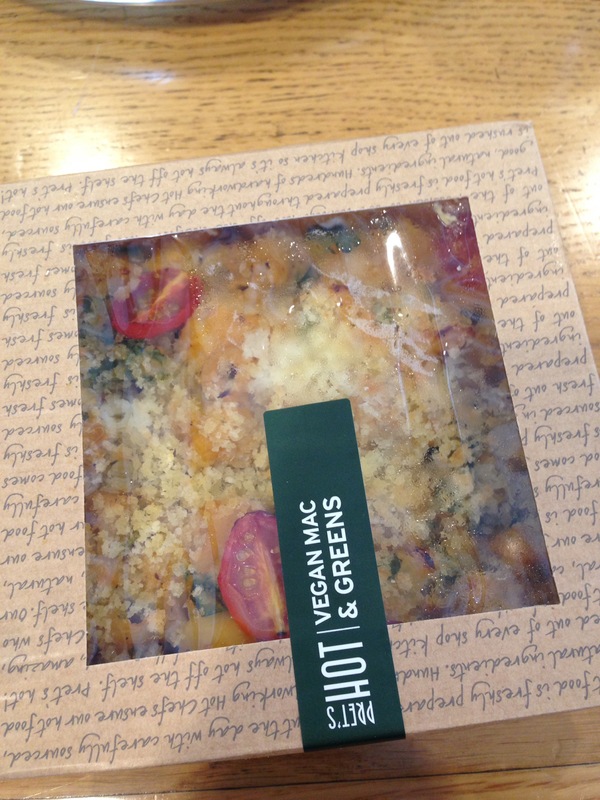 We then got some food from Veggie Pret. Lemme tell you how good the vegan mac and greens is!!! 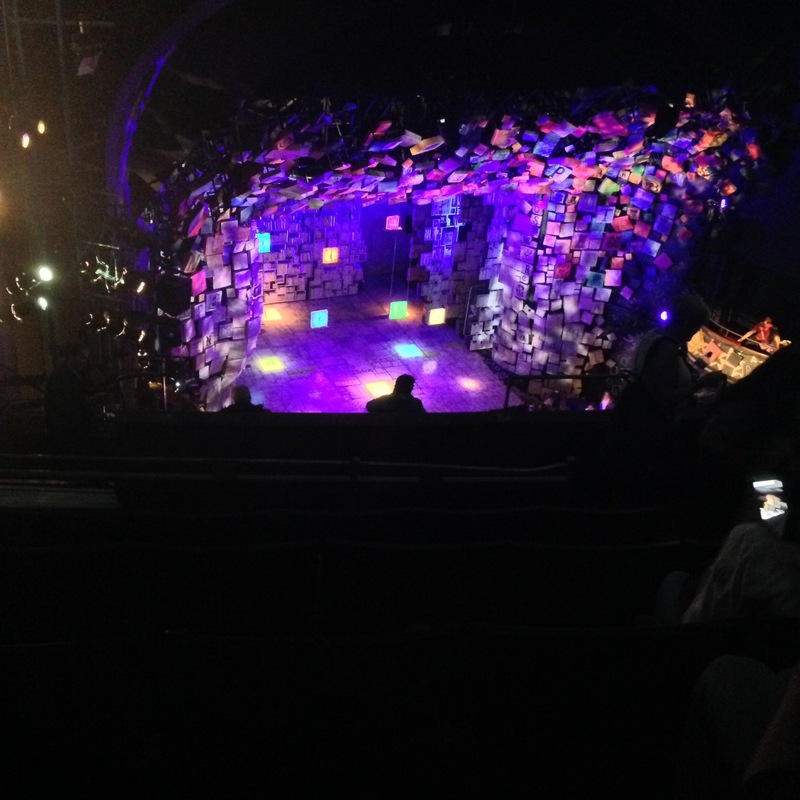 The main part of today was that my brother and I went to go see Matilda the musical! I must say Matilda is a must watch and next time it’s showing, will definitely be going to see it again! It had a bit of a nostalgic feel to it because I grew up watching Matilda (as I’m sure most people did!) so I always caught myself smiling at the stage when parts I remembered started. Let me know if you would want a review type post about the musical because I’m well into doing that! After this, we just went home and chilled because I was still super tired from travelling the day prior and there was nothing else planned for that day! 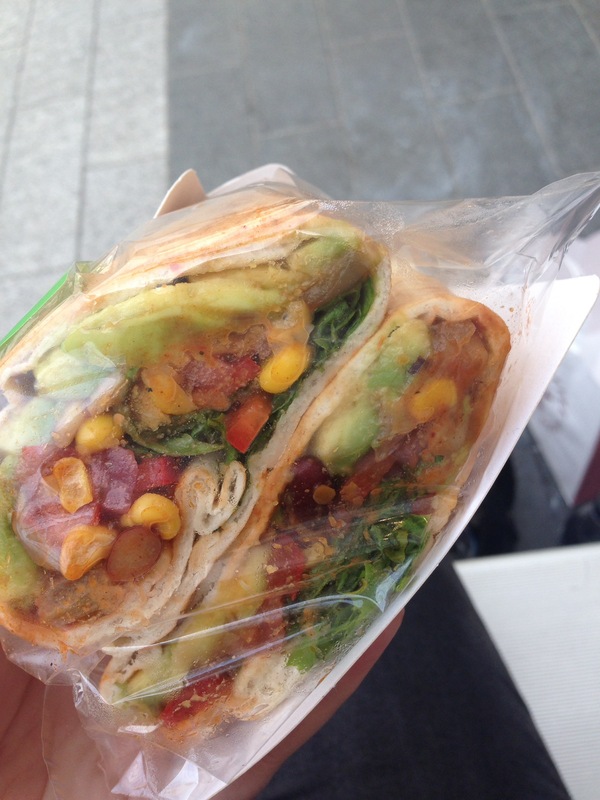 I tried the new vegan onion bhajia burgers from Tesco which are a solid 10/10 too! I’m unsure if they are out anywhere other than London though which is annoying! Today was such a long day, you’ll be surprised how much we fit in! First things first, we went straight to Yorica! 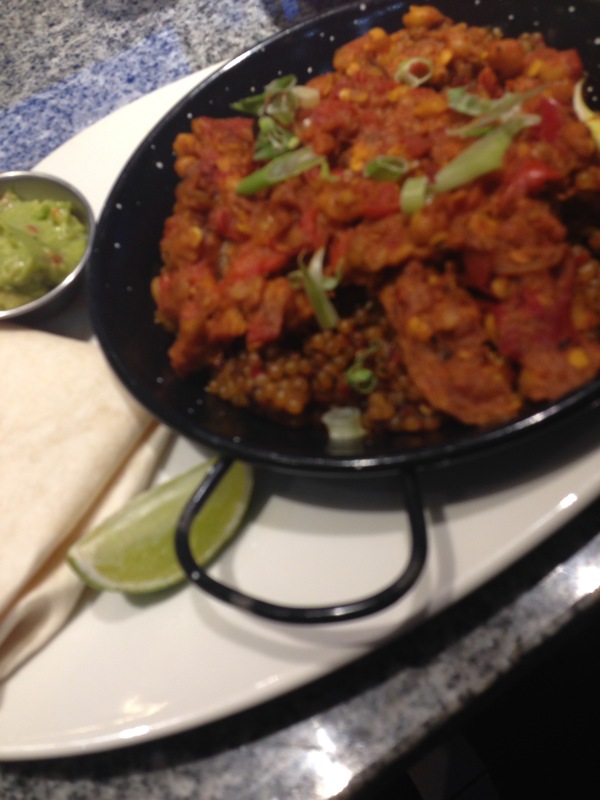 around midday and ordered some vegan treats. I got a vegan crepe with two ice cream scoops and some toppings and my brother ordered the vegan waffles with the same ice cream and toppings. It was lovely. I am a sucker for pancakes and crepes are just giant pancakes aren’t they so I knew I’d like them straight away! Shamelessly, we had that as our dinner/lunch because we were unaware at how big the portions were and we were planning going for dinner afterwards but that was out of the question! Afterwards we headed to the Natural History Museum in Kensington. We had a look around for a couple of hours and then headed off. 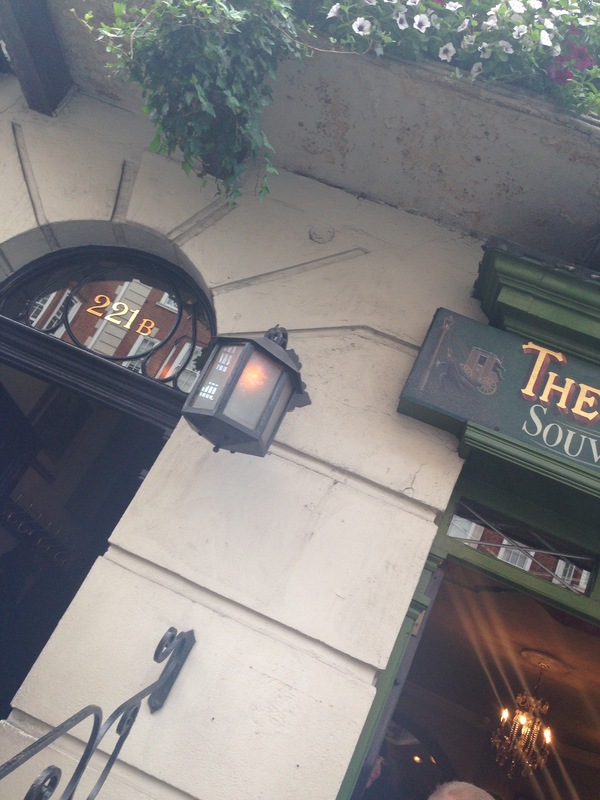 We thought we would take a bit longer here but fortunately we didn’t so we handed to 221b Baker Street. However, we didn’t make it in time for the final viewing of where Sherlock actually lived so we just went into the shop and bought a couple bits and bobs. 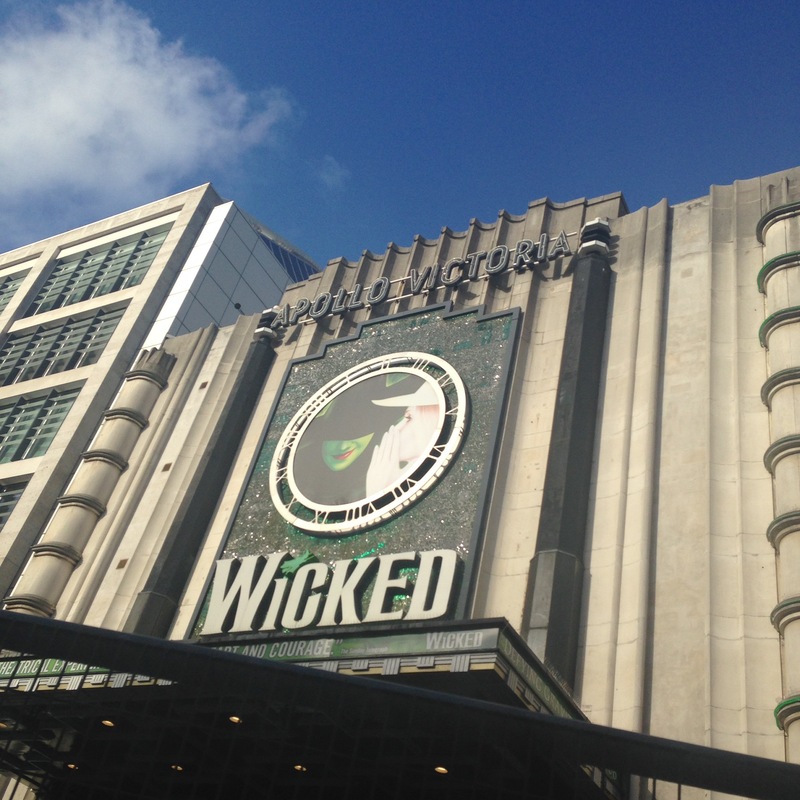 We made our way back to Victoria train station because we had to arrive at the Apollo Victoria Theatre to watch Wicked! I haven’t really watched or heard much about Wicked, apart from how it was a must watch and let’s just say, would definitely see it again. Again, let me know if you’d like to see a review post on this musical because that would be a cool idea! We managed to get home for just after midnight because the trains and tubes were so busy! I knew London never stopped but had no clue it was THAT busy all the time hahaha! On Friday, we went to Brighton! I loovvveee Brighton so much! (Spoiler: I’m actually returning to Brighton at the end of the month so look forward to that post!) We kinda went on a bit of a pub crawl this time though because I am eighteen now so can drink in the UK! We went and ate some food at the Wetherspoons near the sea front and then went shopping. I also got my phone repaired here! I’m so grateful because my phone was on it’s last legs.. I went to Boho Gelato, this was because Zoella always raves about it and I thought I’d try it out. Being vegan, I could only eat maybe six of the fifteen flavours but the vegan creme brulee flavour was heavenly! We then went to Legends which is a gay club because my brother’s friend’s friend worked there and she wanted to say hello because she hasn’t seen him in a couple months! It was so cool because dogs were allowed inside which meant a lot of free roaming dogs! It was also gay pride on the following Saturday so everything was a little extra gay in Brighton which I totally wasn’t complaining about. 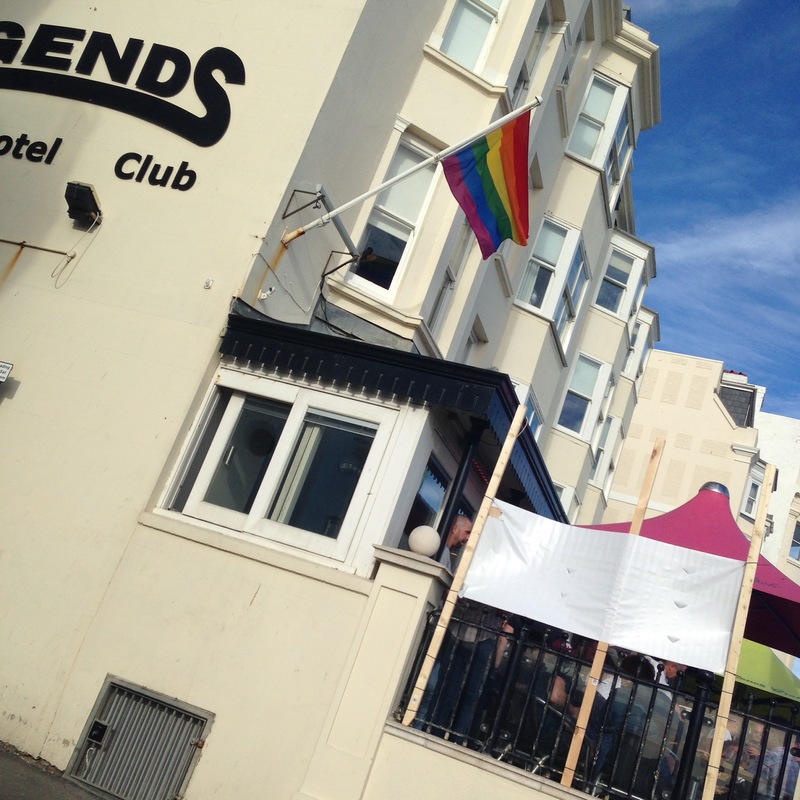 Sadly, I wasn’t staying in Brighton for pride because that would have been amazing but maybe next time! We spent most of this day travelling! From Gatwick Airport to London Euston to Birmingham New Street. For some reason or whatever, our original train was cancelled so two train loads of people were running for this other train. Fair to say, it was really busy on the train home but it was all good! I had to carry a suitcase around London and Birmingham with me which was kinda funny because it made it look like I went on a fancy holiday hahaha! I spent the rest of this day resting in bed because I walked so much more than I usually would and done more stuff than I usually would! I hope you had fun following me around for my little trip to London. I thought I’d call it a trip more so than a holiday because in my head, holidays are for sea side towns not busy busy London. I don’t know, it’s just something my head has registered. Let me know if anyone else is like this? For instance, if I was going to Leeds for a week, that’s not a holiday to me but if I was going to Brighton or Weymouth or anywhere in Wales, that’s a holiday. Looks like you have an outstanding life. It’s awesome! 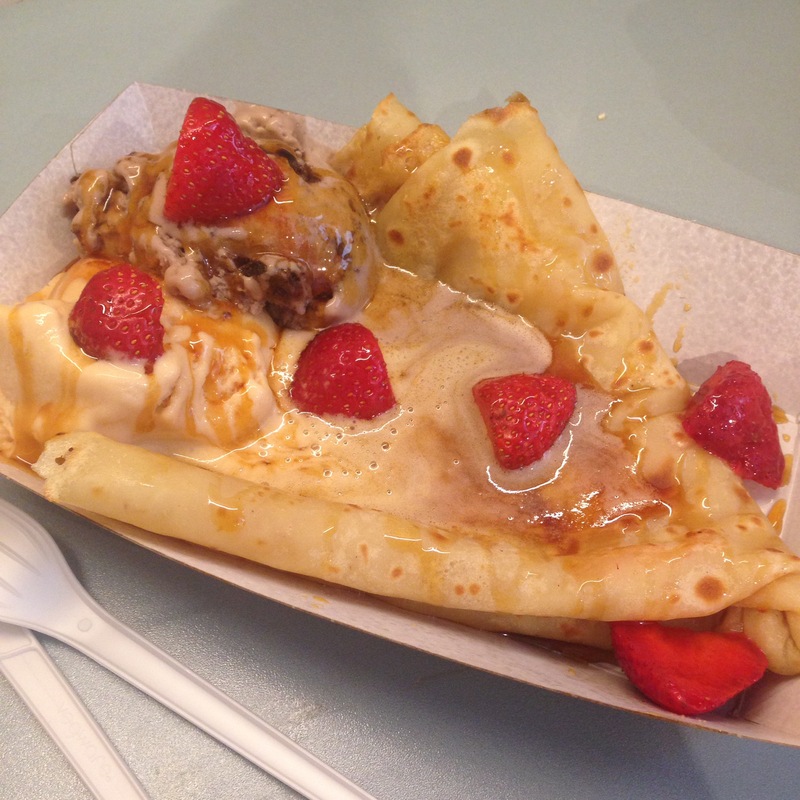 I’ve actually never had crepes before. Blame it on me being American. lol It does look good though. I didn’t know there was a Matilda musical, but that sounds interesting. I’ve never been to an actual play or musical before, only ones my classmates performed back when I was in school. They are just super thin pancakes so kinda the same thing really! Neither did I until my brother told me he got us tickets, I was well excited haha. Matilda was my second one, I went to see Aladdin when I was around 11/12! Sounds like such a fun trip! 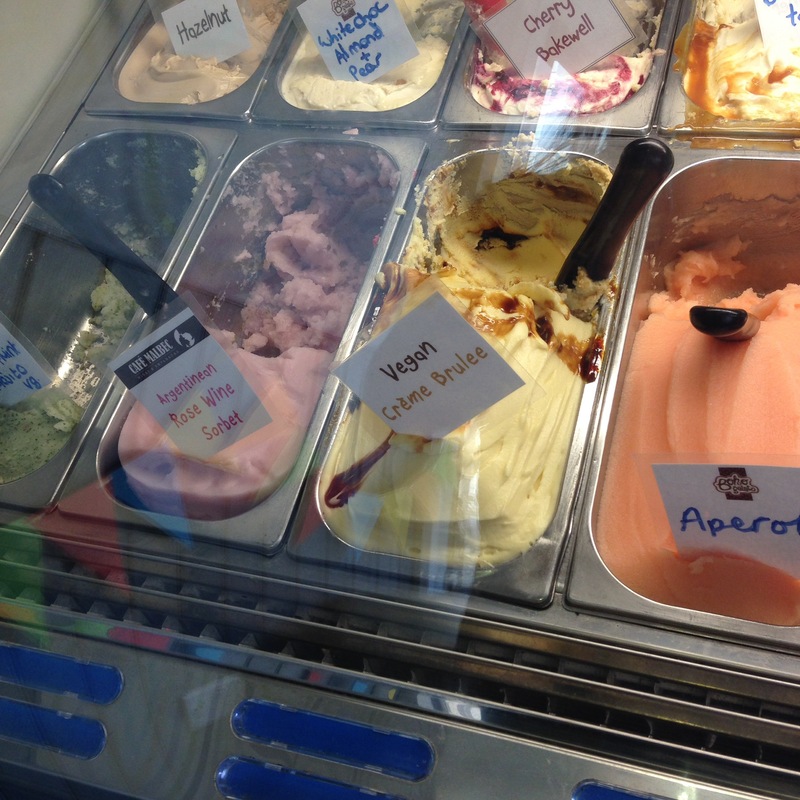 I haven’t been to Boho gelato yet but I know I should… how long will you be in Brighton for? I was so much fun! And I’ll be in Brighton for 2 days!